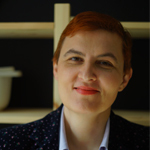 Featured / Recipes / 17.02.2018. Winter meals were always prepared from ingredients that could be preserved for a longer period. 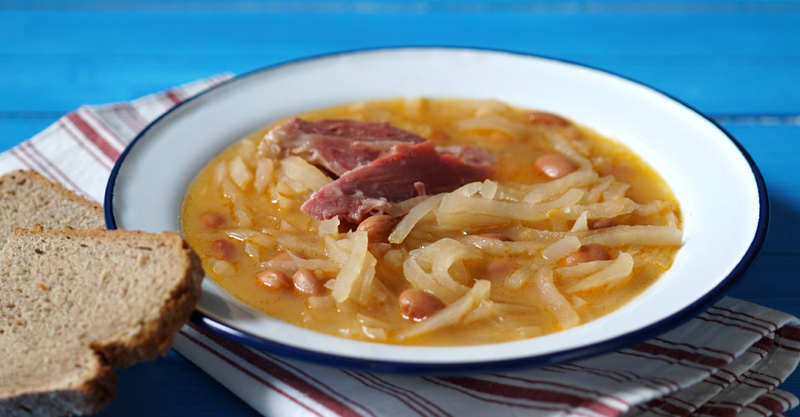 This traditional combination continental Croatia of fermented turnip, beans and smoked meat is also no surprise. Satiating and tasty when you need warming up in winter after hard labour. Pour water over beans and let soak overnight. Strain the beans, place it in the pot, pour with water and cook for 10 minutes after the water boils. Strain again, change water and add salt. In a separate pot put smoked meat (pork ribs, leg of shank, smoked legs…). The same as with beans, after it boils for 15 minutes, replace with fresh warm water. After it is cooked, set aside and leave in the water in which it was cooked. Flush the turnip and prepare for cooking in a wide pot, with bay leaves, pepper grains and a spoon of salt. Add strained boiled turnip into the beans. To prepare roux, briefly saute the chopped onion, add flour and paprika, pour with part of the water in which the meat was cooked, and then add it all into cooked beans and turnip. Briefly boil and add salt as needed. Serve with cooked meat and home-made bread.